Understanding the Duties and Responsibilities of a Successor Trustee — Daniel P. Seink Co., Ltd.
A trust is a legal entity that can "own" assets. The document looks much like a Will. And, like a Will, a trust includes instructions for whom you want to handle your final affairs and whom you want to receive your assets after you die. There are different kinds of trusts: testamentary (created in your will after you die); irrevocable (usually cannot be changed); and revocable living trusts. Today, many people use a revocable living trust instead of a Will in their estate plan because it avoids court interference at death (probate) and at incapacity. It maintains privacy, is flexible in allowing for control of how and when assets pass to heirs, can protect the assets from the creditors and spouses of your heirs. If you are alive and competent, you can change the trust document, add or remove assets, even cancel it. For a living trust to work properly, you must transfer your assets into it (or for some assets, like IRAs, name the trust as a beneficiary). Titles must be changed from your "individual" name to the name of your trust. Because your name is no longer on the titles, there is no reason for the court to get involved if you become incapacitated or when you die (the "owner" has not died). This makes it very easy for someone (a successor trustee) to step in and manage your financial affairs. The settlor (also called grantor, trustor, creator or trustmaker) is the person whose trust it is. Married couples who set up one trust together are co-settlors of their trust. Only the settlor(s) can make changes to his or her trust. The beneficiaries are the persons or organizations who will receive the trust assets after the settlor dies. The settlor should make you familiar with the trust and its provisions. You need to know where the trust document, trust assets, insurance policies (medical, life, disability, long term care) and other important papers are located. However, don't be offended if the settlor does not want to show you values of the trust assets; some people are very private about their finances. This would be a good time to make sure appropriate titles and beneficiary designations have been changed to the trust. (Some assets, like annuities and IRAs, will list the trust as contingent beneficiary.) You also need to know who the trustees are, who other successor trustees are, the order in which you are slated to act, and if you will be acting alone or with someone else. At Daniel P. Seink Co., we assist our clients with the proper titling of their assets (also called "funding the trust"), and in identifying and organizing the assets for easy reference. Those clients who are members in our Legacy Assurance Plan will annually review the funding of the trust and the organization of the estate for easy identification by the successor trustee when necessary and, in many cases, the successor trustee will have received orientation ahead of time as to the estate plan goals, assets and the tasks that will be necessary to be performed. The most important thing to remember when you step in as trustee is that these are not your assets. You are safeguarding them for others: for the settlor (if living) and for the beneficiaries, who will receive them after the settlor dies. Do I have to do all of this myself? No, of course not. You can have professionals help you, especially with the accounting and investing. You will also probably need to consult with an attorney from time to time. However, as trustee, you are ultimately responsible to the beneficiaries for prudent management of the trust assets. How will I know if the settlor is incapacitated? Usually the trust document contains instructions for determining the settlor's incapacity. The trust may require one or more doctors to certify the settlor is not physically or mentally able to handle his or her financial affairs. What do I do if the settlor is incapacitated? If all assets have been transferred to the trust, you will be able to step in as trustee and manage the settlor's financial affairs quickly and easily, with no court interference. First, make sure the settlor is receiving quality care in a supportive environment. Give copies of health care documents (medical power of attorney, living will, etc.) to the physician. If someone else has been appointed to make health care decisions or to serve as agent under a power of attorney, make sure he or she has been notified. Coordinate with these agents, and offer to help notify the settlor's employer, friends and relatives. Next, find and review the trust document (hopefully, you already know where it is and can access it). Notify any co-trustees as soon as possible. Also, notify the attorney who prepared the trust document; he or she can be very helpful if you have questions. You may want to meet with the attorney to review the trust and your responsibilities. The attorney may have a comprehensive list of assets and title registrations, as well as other essential information regarding the estate and the estate plan. He/she can also prepare a certificate of trust, a shortened version of the trust that also proves you have legal authority to act. At Daniel P. Seink Co., members of the Legacy Assurance Plan will have updated this information regularly, and will have provided ahead of time for a free consultation upon the settlor's incapacity (and death) as well as for additional services at a discounted rate. You will want to become familiar with the settlor's insurance (medical and long-term care, if any) and understand the benefits and limitations. Assuming the insurance will cover a certain procedure or facility care could be a costly mistake. If there are minors or other dependents, or pets, you will need to see that their is a plan for care. The estate plan may include nominations of guardians for the care of minors/dependants. Those persons will need to be notified and informed of the financial provisions for their care in the trust. The trust also may have specific provisions for the care of pets. If you cannot readily find this information, others (family members, banker, employer, accountant) may be able to help you. Last year's tax returns may be helpful. Also, if you discover any assets that were left out of the trust, the attorney can help you determine if they need to be put into the trust and can then assist you with this. You or the agent under power of attorney will need to apply for disability or other public benefits through the settlor's employer, social security, private insurance, veteran's services and Medicaid. Notify the bank and other professionals that you are now the trustee for this person. And put together a team of professionals (attorney, accountant, banker, insurance and financial advisors) to help you. Be sure to consult with them before you sell any assets. 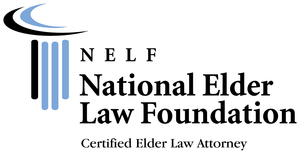 Consult a Certified Elder Law Attorney regarding access to essential long-term care benefits. Now you can start to transact any necessary business. You can receive and deposit funds, pay bills and, in general, use the person's assets to take care of him or her and any dependents until recovery or death. You'll need to keep careful records of medical expenses and file claims promptly. Keep a ledger of income received and bills paid. An accountant can show you how to set up these records properly. The trust may require you to send accountings to the beneficiaries. Also, don't forget income taxes (due April 15) and property taxes. What happens if the settlor recovers? You go back to being a successor trustee and the settlor resumes taking care of his or her own financial affairs. It's very easy, and there is no court involvement. What do I do when the settlor dies? You will have essentially the same duties as an executor named in a Will would have. But if all titles and beneficiary designations have been changed to the settlor's trust, the probate court will not be involved. That means you will be able to act on your schedule instead of the court's. The trustee is responsible for seeing that everything is done properly and in a timely manner. You may be able to do much of this yourself, but an attorney, corporate trustee and/or accountant can give you valuable guidance and assistance. Here's an overview of what needs to be done. Inform the family of your position and offer to assist with the funeral. Read the trust document and look for specific instructions. Notify a co-trustee as soon as possible. Notice to the beneficiaries of the existence of the trust, your position as trustee, their status as beneficiaries, and their right to see the trust and to an accounting is required within sixty days. Make an appointment with the attorney to go over the trust document, trust assets and your responsibilities as soon as possible. Do not sell or distribute any assets before you meet with the attorney. Before the meeting, make a preliminary list of the assets and their estimated values. You'll need exact values later, but this will help the attorney know if an estate tax return will need to be filed (due no later than nine months after the settlor's death). Remember that, for clients of Daniel P. Seink Co., and particularly members of the Legacy Assurance Plan, most of this information may already be updated and on file with the Firm. If there is a surviving spouse or if the trust has a tax planning provision, the attorney may need to do some tax planning right away. The trust may also need its own tax identification number, and generally will have to file a 1041 trust tax return. Collect all death benefits (social security, life insurance, retirement plans, associations) and put them in an interest bearing account until assets are distributed. If the surviving spouse or other beneficiary needs money to live on, you can probably make some partial distributions. But do not make any distributions until after you have determined there is enough money to pay all expenses, including taxes. Notify the bank, brokerage firm and others of the settlor's death and that you are now trustee. They will probably want to see a certified death certificate (order at least 12), a certificate of trust and your personal identification. To finalize the list of assets, you will need exact values as of the date of the settlor's death. Some assets may need to be appraised. An estate sale maybe held in some cases to dispose of household goods and personal effects. Keep careful records of final medical and funeral expenses, and file medical claims promptly. Keep a ledger of bills and income received. Contact an accountant and attorney to prepare final income and estate tax returns, if required. Verify and pay all bills and taxes that are required. Make a final accounting of assets and bills paid, and give it to the beneficiaries. Generally, the beneficiaries will give you a release for your services as trustee at this time. If the assets are to be fully distributed, you will divide the cash and transfer titles according to the instructions in the trust. That's it...you're finished and the trust is dissolved. If the assets are to stay in a trust (for minors, for a surviving spouse, for tax purposes or if the beneficiaries will receive their inheritances in installments), each trust will need a new tax identification number, and proper bookkeeping and reporting procedures will need to be established. Should I be paid for all this work? Yes, trustees are entitled to reasonable compensation for their services. The trust document should give guidelines. 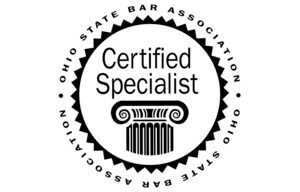 Consider hiring an attorney, bookkeeper, accountant or corporate trustee to help you. (A corporate trustee can manage the investments and do the recordkeeping.) If you feel you cannot handle any of the responsibilities due to work, family demands or any other reason, you can resign and let the next successor trustee step in. If no other successor trustee has been named, or none is willing or able to serve, a corporate trustee can usually be named. What Does The Successor Trustee Do At Incapacity? What Does The Successor Trustee Do At Death?